Indian Stock markets opened with huge gap on Monday and both benchmark indices hit the upper circuit within first few minutes of trade. BSE Sensex and NSE Nifty witnessed a decent rally and the trading was halted for 2 hours. As the trading resumed, Stock markets again hit the upper circuit. 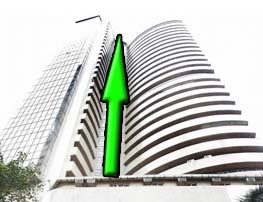 BSE Sensex was up by 17.24 per cent at 14272. NSE Nifty gained 17.33% or 636 points to close at 4308. SEBI has halted trading for the day as stock markets hit the upper circuit twice. UPA government has won the General Elections and will form a stable government. Industry experts and Market Analysts expect that many sectors will benefit as economic reforms will continue. India should be able to continue its growth story as stable Congress led government will offer much better leadership for coming years. Five years back, when Sonia Gandhi was about to become Prime Minister, the stock markets reacted negatively and hit lower circuit twice. After the market reaction, Sonia Gandhi decided to offer the seat to Dr. Manmohan Singh. Market experts were expecting stock markets to gain today, however, no one expected the markets to lock twice in upper circuit. Many stocks managed to gain over 20% today, however some missed as there wasn't much room for trading. The trading volumes were lower as the stocks had hit higher circuit and there weren't many sellers in most of the counters. 18 May, 2009 will be the day traders will remember for years to come.